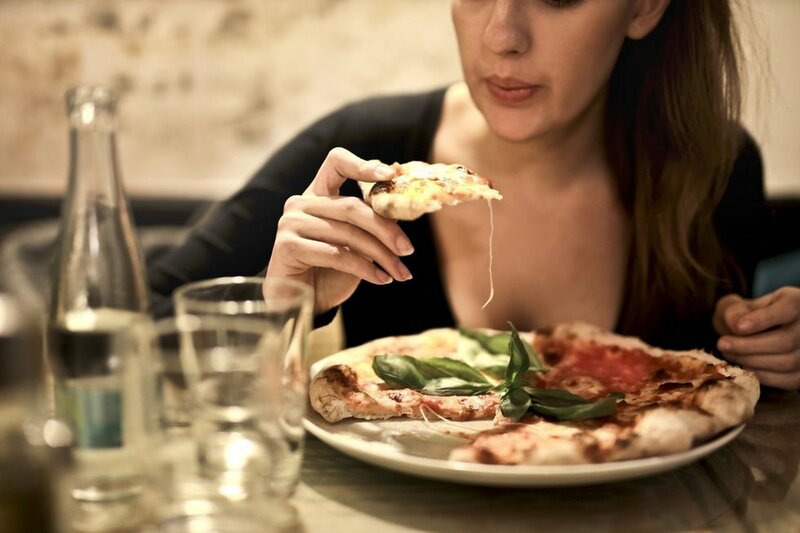 Our focus is on what the food comes in, more so than what you are ordering - no judgement here if you get the pizza and cheesy bread (they're different!). We are more concerned about the styrofoam container your piping hot pad thai is coming in or that molded fiber bowl your fancy grain bowl is served in. Well, here's the deal, all that packaging can affect the food, and in turn, your health down the road. And not like heart disease from a greasy indulgence now and again or a bout of food poisoning, but things like infertility, suppressed immune functions, and even neurological disorders. These issues, and others that result from a disrupted endocrine system, are associated with the highly fluorinated chemicals (PFAS) and various types of plastic present in most take out and food packaging materials. But to be completely frank, figuring out what exactly is in the specific container your favorite restaurant uses isn't all that easy. There are so many different options when it comes to to-go containers that it can be migraine-inducing trying to figure out what is what. So, rather than listing out every possible take out container you might see and saying this one is safe, but this one isn't, we are just going to share some info that's easy to remember and can make a general improvement. Because hey, every little change adds up and makes a difference down the line. So, here's the deal. 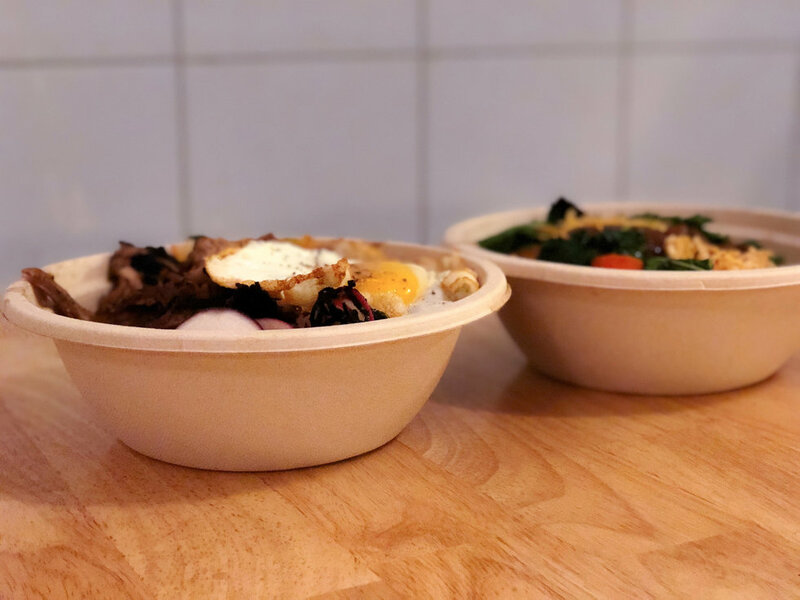 We went through this report from Center for Environmental Health and a recent study on grocery takeout containers, and pulled out some of the main facts. We compared those with other info researchers have found, and came up with this list of facts and tips for creating an even better takeout experience. The "best" options (meaning the ones that contains the fewest chemicals that are likely to leach into your food or the environment after you throw it away) are ones that are compostable and fluorine free. That means those brown paper boxes marked with a green seal saying they are made from 100% recycled paperboard or the white paper soup containers that have a green stripe and similar compostable markings. Another option is plastic-like containers that are actually made of something called bioplastic or PLA (polylactic acid) that are completely compostable. These are often used for things like salads or compostable cold drink cups. Foil containers also seem to be safe because foil is less likely to change due to heat. If you can't find compostable, or foil containers, the next best options are plastic containers that are recyclable and marked with the number 2 or the number 5. These are "safer" plastics when it comes to transporting hot food, and they can be easily recycled in most communities. Styrofoam is bad. We all instinctively know it. What even is that material? (answer: it's polystyrene, which is a form of plastic). Anyway, if you can avoid it you should. It easily releases chemicals into hot foods and drinks and takes forever to break down in the world once you toss it and is not really recyclable. Molded fibers, so things like those brown cardboard-y bowls that look natural like they should be better for you, often aren't. To make the paper water and oil resistant, they often use a highly fluorinated chemical, which isn't something we want a lot extra of in our bodies. And, if even that sounds like a lot to remember, here are some tips that can help reduce the impact takeout containers have on your life. If you have the time, treat yourself and eat at the restaurant. Not only will it eliminate the take out containers for that visit, but sometimes it's good to just slow down. Take a beat, breathe, step away from your phone or computer or tv for half an hour, and talk to someone or read a book. If you were getting it to go because you are eating alone, try sitting at the bar. You might meet someone, or it's just a great place to people watch. Bonus, the food tastes better when it's fresh and not sitting for half an hour while it waits to be delivered. Try to notice what your food comes in when your food arrives, then order from places that already use better options. 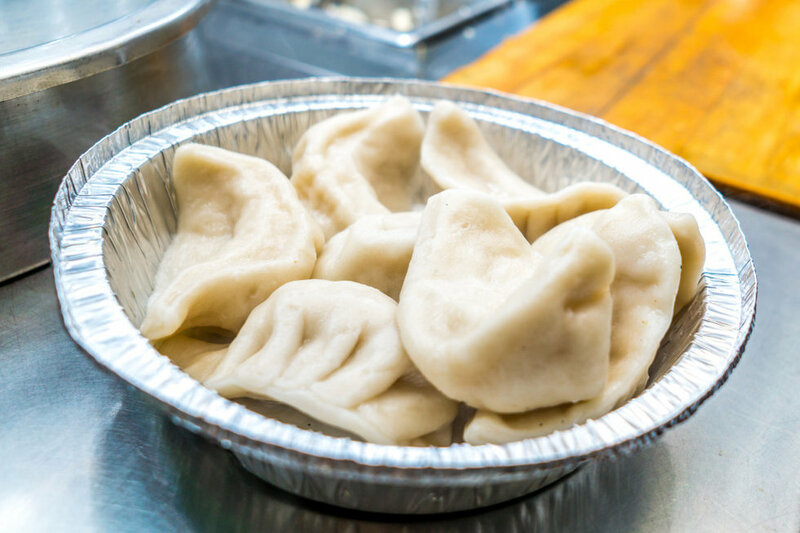 It doesn't have to be every time (maybe you are just really craving that chicken from the place on the corner that only uses styrofoam clamshells - that's okay), but if you are between two, let the packaging factor in. Ask the server, the hostess, or the manager about the to go containers before you ask for one for your leftovers. If you are really outgoing or go to the same place regularly, consider talking to them about switching to something better like compostable options. For small things like a muffin at the coffee shop or a quick sandwich from someplace like Panera at lunch, order it "for here" and bring your own storage container or just use a napkin. Once you get your order on a plate, move it to your own container and drop the plate in the wash bin. It might take an extra 30 seconds, but it is better for you and the environment because you don't have to worry about the packaging. Or, if you are up for it, talk to the restaurant and ask them if you can bring or provide your own container for take out. Some places are happy to package your food in your own container.